No one loves ice cream as much as New Englanders do—even in the dead of winter, we’ll brave icy temps to get our cone fix. 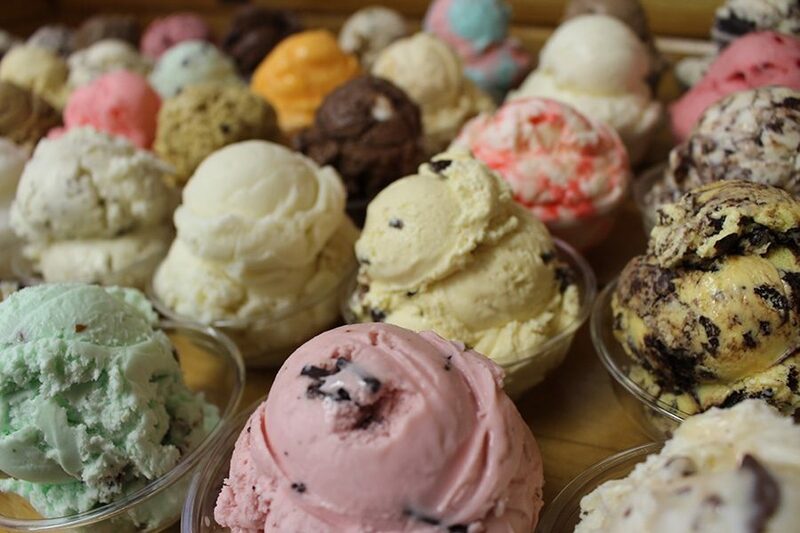 Now that summer’s in full swing, there’s no better time to get acquainted with our local ice cream parlors. 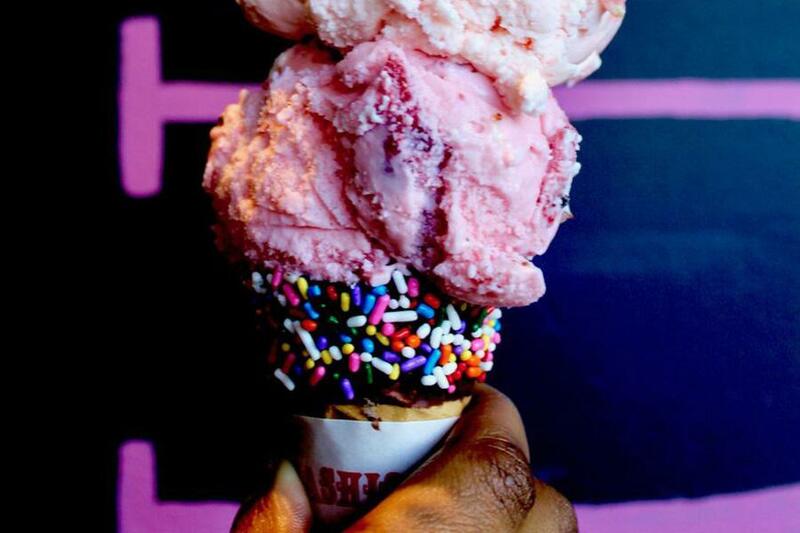 From old-school snack shacks peddling classic hot fudge sundaes, to vegan trailblazers exploring delicious, dairy-free frontiers, here’s our comprehensive guide to the best scoops in Boston. Ice cream may be a classic kids’ treat, but Boston Ice Cream Factory founder Steve Cirame (a former J.P. Licks employee and the original owner of Christina’s) adds an adult twist to the offerings at his Dorchester storefront. Here, traditional flavors like chocolate and pistachio hold a place on the menu, but the real standouts borrow from the bar. Try a scoop of Barbados Breeze, a fruity fusion made with Malibu rum and blue Curaçao; or Mud Slide, a boozy blend of Baileys, Kahlua, and vodka. Good luck going back to a plain old vanilla cone after stopping here. 777a Morrissey Blvd., Dorchester, 617-436-2189, bostonicecreamfactory.com. Summer nights in Inman Square mean lines snaking out the door of this neighborhood institution. 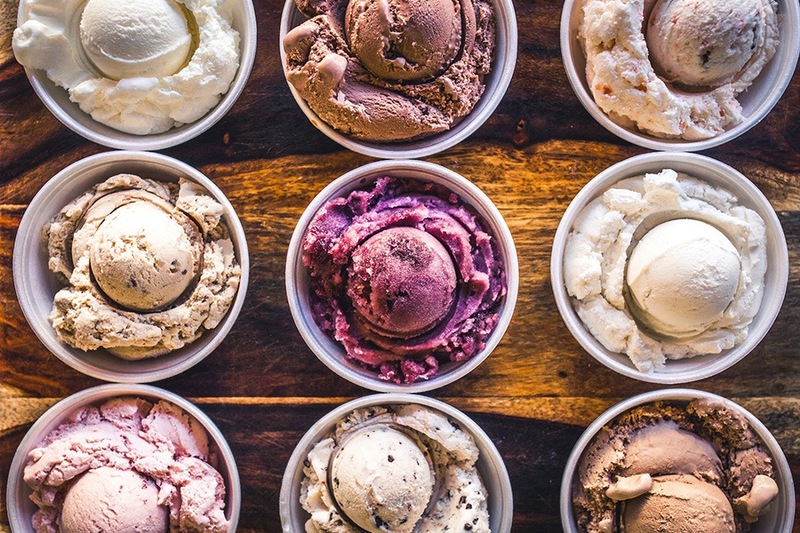 With well over 50 options of classic and inventive flavors alike, the shop continues to stay true to owner (and spice-lover) Raymond Ford’s vision to craft “creative, bold and daring” ice cream. Try a few samples, which take inspiration from around the world (see also: Indian kulfi, Italian gianduja chocolate, Japanese adzuki bean), or—in the case of the Concord grape sorbet—from our own backyard. 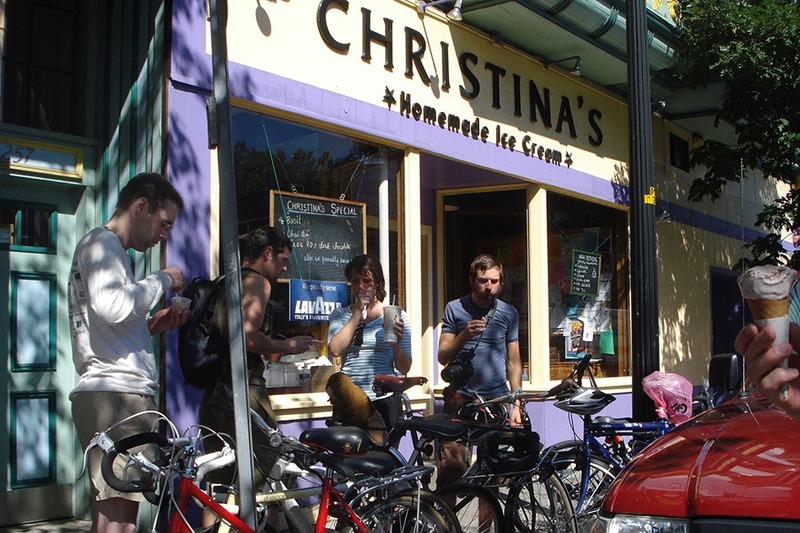 1255 Cambridge St., Cambridge, 617-492-7021, christinasicecream.com. For 50 years, coneheads have made the pilgrimage south to Sharon’s Crescent Ridge Dairy Bar for frozen Cressies (a chocolate-dipped scoop of vanilla, chocolate, or raspberry ice cream) and artisanal ice creams. But with a stall inside the Boston Public Market, flavors ranging from coffee to coconut, cotton candy to Mississippi Mud, pumpkin to S’Mores are now available within city limits. Dairy Bar, 407 Bay Rd., Sharon; Boston Public Market, 100 Hanover St.; 781-784-2740; crescentridgedairybar.com. Sweltering South Shore nights call for a trip to this Quincy institution, which has been slinging sundaes since 1963. If the midcentury signage didn’t clue you into the fact that this place is a classic, the menu certainly will: It’s got all the old-school New England bases covered, from frappes and raspberry lime rickeys to orange-sherbet soft serve and Richie’s Italian ices—and even hard ice cream in pumpkin and cranberry flavors. 635 Adams St., Quincy, 617-471-9768, dairyfreeze-quincy.com. Boston’s puritanical stance on early bar-closing times has at least been good for one thing: It’s indirectly given us some damn good ice cream. Bob Rook, a music lawyer who’s worked such with such acts as Aerosmith, The Cars, and U2, founded Emack & Bolio’s in a Coolidge Corner basement in 1975 to provide a post-gig hangout space for bands (back when clubs closed at midnight). In the intervening decades, this local chain hasn’t lost track of its rock n’ roll origins, notably on display in such evocatively named flavors as the salty-sweet Chunk O’Funk and black-raspberry “Deep Purple” Chip. One spoonful of Gigi’s cool Italian desserts and you’ll be transported to a virtual Sicilian vacay—until you reach the empty bottom of your cup, that is. Here, you’ll find an array of Italy-inspired varieties (cassata Siciliana, gianduia Torino), along with less-traditional ones (green apple, chocolate-mint, pineapple). Beyond the cases brimming with colorful confections, you’ll also find a cannoli bar, stocked with handmade shells and filling options galore. And because it’s open until midnight seven days a week, it makes for a sweet ending to a summer night. 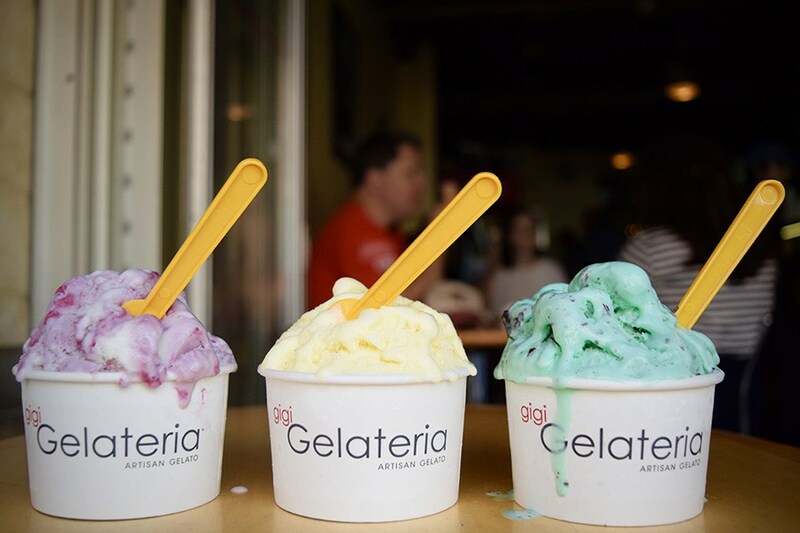 272 Hanover St., Boston, 617-720-4243, gelateriacorp.com. The Ice Creamsmith is a pioneer of cool concoctions like maple bacon, Coffee + Donuts, and Nutella-peanut butter-banana chip. And, as an homage to Dorchester, they’ve crafted Dot Dirt, chocolate ice cream swirled with cinnamon and mini marshmallows. Customers are encouraged to dream up their own inventive combinations with the shop’s selection of “Mixins,” which includes jelly beans, bubblegum, Skittles, and coconut. 2295 Dorchester Ave., Dorchester, 617-296-8567, theicecreamsmith.com. So many treats, so little time. A cool collection of monthly specials such as salted caramel cookies ’n cream, fresh mint, and pineapple sherbet are more than enough to keep the fun going all summer long. And with 14 locations of the beloved local chain all over town, including a brand-new shop in the South Bay shopping center, there are plenty of opportunities to try them all. It’s even popping up in Eastie: Under the big-top tent at Cirque du Soleil’s traveling show, Luzia: A Waking Dream of Mexico, J.P Licks graces the concession stand with its exclusive Chamango flavor (a sweet-and-spicy combo of chamoy and mango) through August 12. In 1995, ex-Digital employee Nick Pappas decided to leave behind the world of microchips for the world of raspberry chocolate chip—and we’re so glad he did. Though Pappas passed the torch to new ownership in 2016, the spark—and Lizzy’s loyal following—remains. 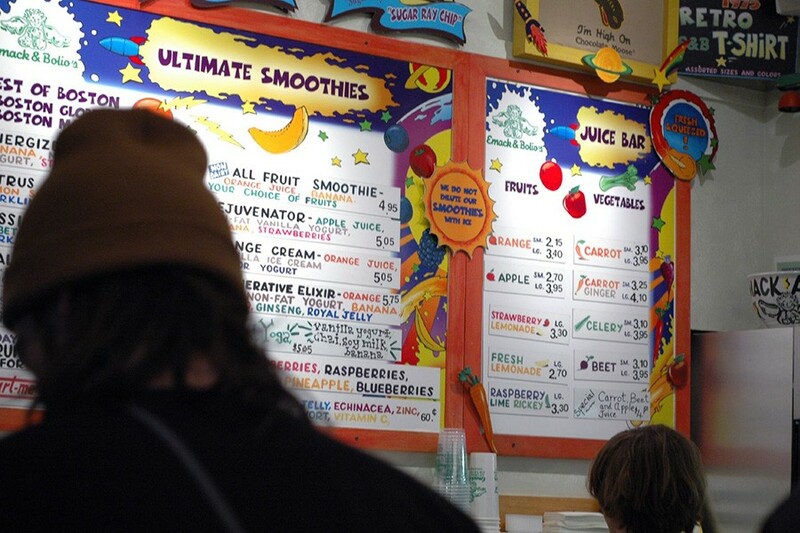 In fact, when the Harvard Square shop recently held a contest to name a new flavor, hundreds of fans submitted ideas. 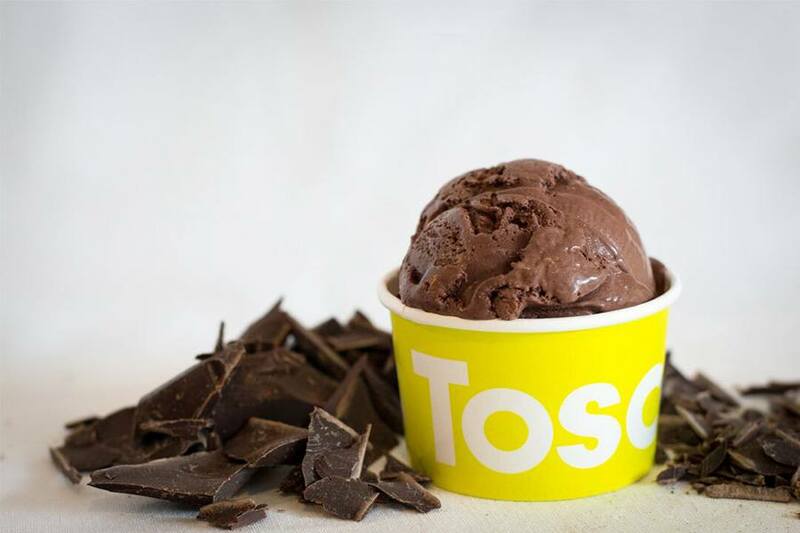 The winner (who received a prize of a year’s supply of ice cream) dubbed the melt-in-your-mouth dark-chocolate-and-toffee flavor “Charles River Crunch.” Now, owner Phil Rizzuto says, it’s the store’s best-seller. 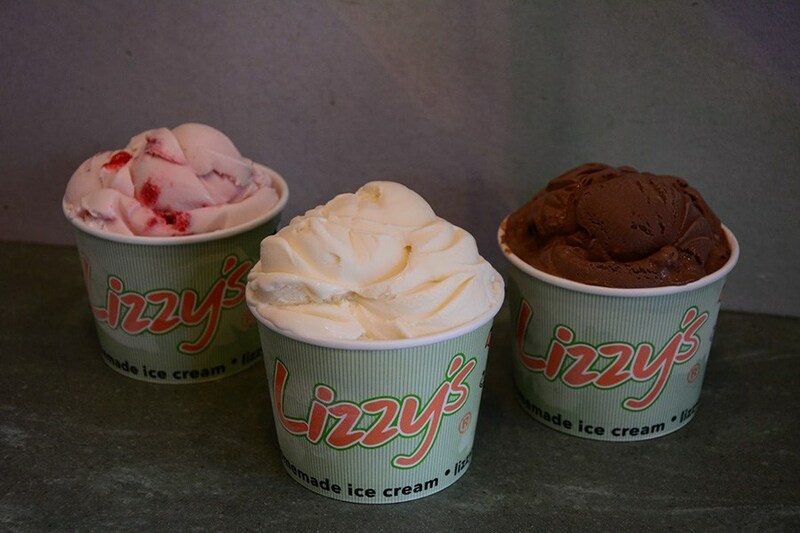 29 Church St., Cambridge, 617-354-2911; 367 Moody St., Waltham, 781-893-6677; lizzysicecream.com. This South End mainstay—whose name stands for “Pizza and Ice Cream Company”—draws neighborhood regulars and visiting revelers alike for its carefully curated dessert menu. Highlights are an intensely velvety dark-chocolate sorbet, and an addictive raspberry-drizzled gingerbread à la mode. Feeling festive? Give dessert a boozy boost with specialties like the “adult” ice cream soda: a float of raspberry lambic poured over vanilla ice cream. 513 Tremont St., Boston, 617-927-0066, piccorestaurant.com. Dairy must flow through the veins of the Rancatore family: Since 1985, owner Joe Rancatore (brother to Toscanini’s Gus and Mimi Rancatore) has been serving up superior scoops to a devoted fan base. With daring flavors (Irish Coffee-N-Cookies, honey-lavender, rhubarb) it’s not hard to see why Ranc’s has conquered the ’burbs with its frozen treats. Lately, they’ve been increasingly experimenting with dairy-free options—a development worthy of celebrating with a slice of coconut-and-mango sorbet cake. 1752 Massachusetts Ave., Lexington, 781-862-5090; 36 Leonard St., Belmont, 617-489-5090; 333 Walnut St., Newtonville, 617-916-0963; rancs.com. After more than three decades in Central Square, siblings Gus and Mimi Rancatore have been temporally displaced from their longtime location and are now slow-churning out the same sinfully rich ice cream in nearby Kendall. Go decadent, or go home—may we suggest an order of the best-selling B3 (brown sugar, brown butter, and brownies)? Just don’t forget to add a dollop of Tosci’s freshly made whipped cream. 159 First St., Cambridge, 617-491-5877, tosci.com. Calling all locavores: This shop sources offerings, from cookies, to tea and coffee, to the hot fudge they drizzle over sundaes, from Massachusetts businesses. And the ice cream is no exception: Puritan Ice Cream, in nearby Roslindale, supplies such flavors as salted-caramel truffle, peanut butter Oreo, and Dutch apple. 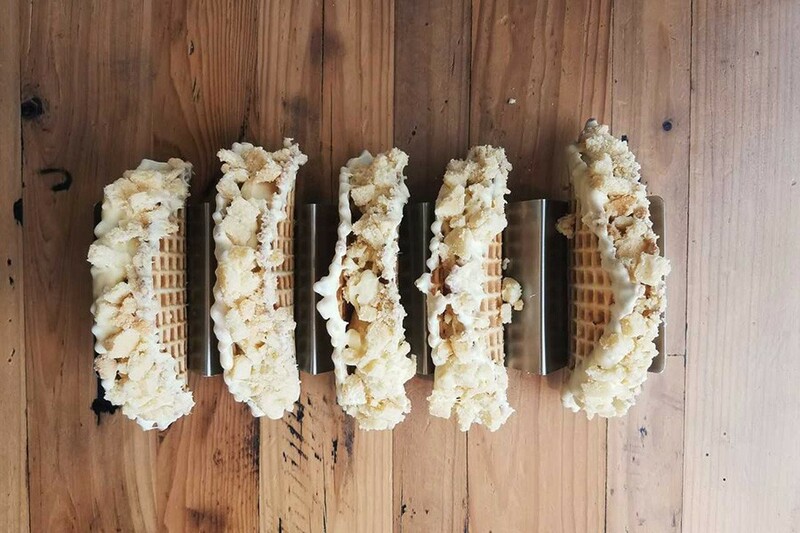 Waffle cones, meanwhile, are crafted in-house—and shaped into shells for “tacos” packed with scoops and toppings of your choice every Taco Tuesday. 142 Park St., Dorchester, 617-297-5401, chillonpark.com. There’s nothing scary about this monster, just colossal heaps of Richardson’s ice cream sandwiched between fresh-baked cookies. 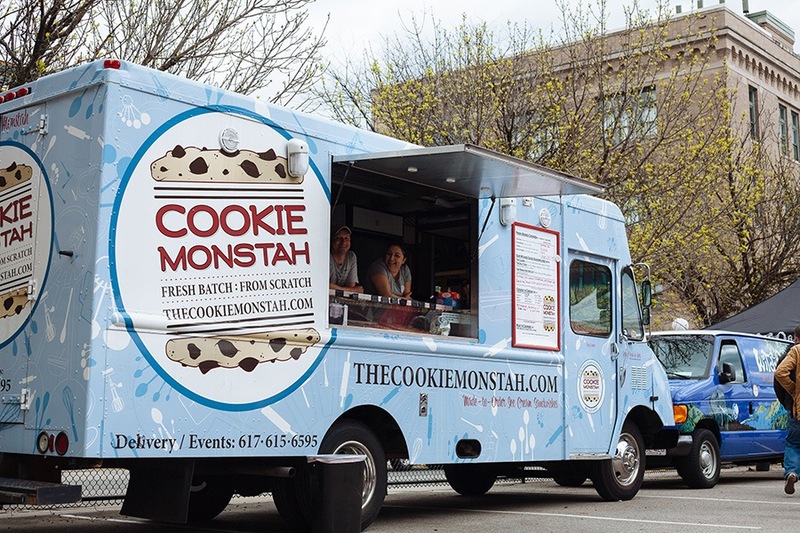 Once featured on an episode of Travel Channel’s Bizarre Foods: Delicious Destinations, Cookie Monstah takes a unique spin on the classic bake shop by adding four wheels and taking to the streets. Be sure to keep an eye out for the Red Monstah, made with red velvet cookies and mint Oreo ice cream. 75 Newbury St., Danvers, 978-539-8564, thecookiemonstah.com. 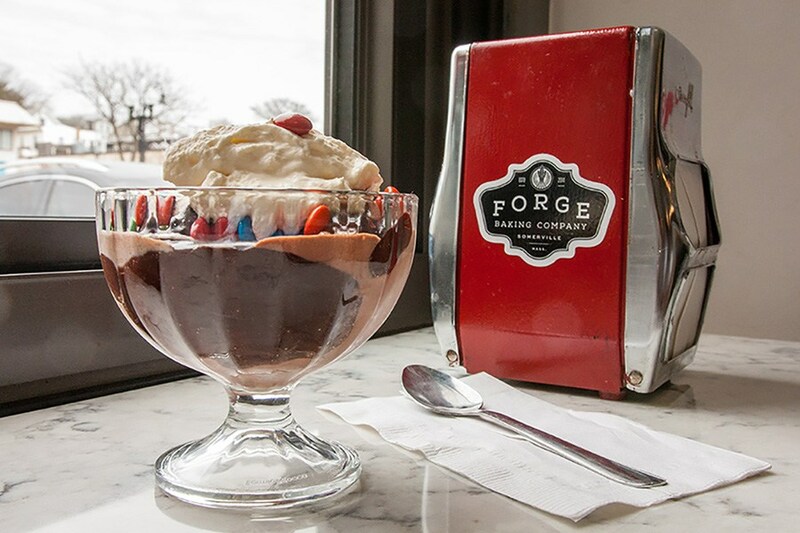 Experience an oh-so-sweet blast from the past at Forge Bakery’s retro-leaning ice cream parlor. While the shop’s chrome finishes, vinyl seat coverings, and antique pump system may harken back to a simpler time, its flavors are decidedly modern. A constant rotation of small-batch scoops with recent options like cucumber-mint sorbet, Key lime pie, and banana Oreo keeps things fresh. Can’t decide? Forge offers a tasting flight of four samples so you can always cure those ice cream cravings. 626B Somerville Ave., Somerville, 617-764-5365, forgebakingco.com/ice-cream. 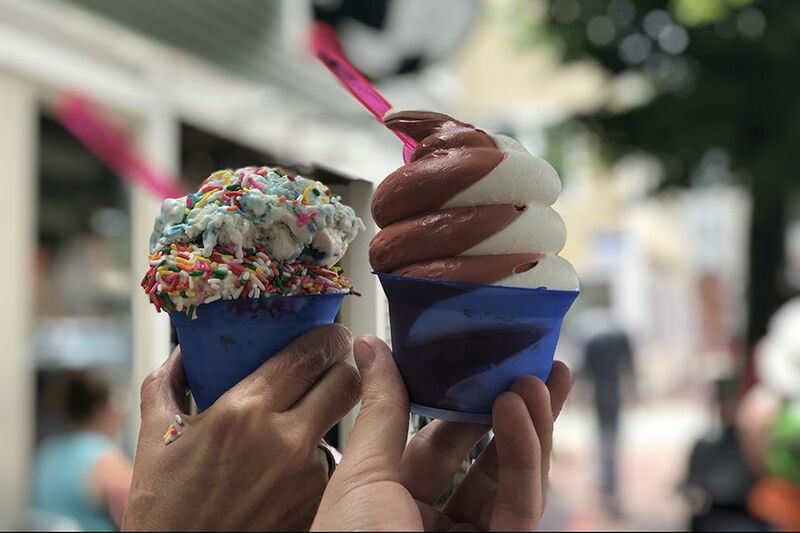 Fire and ice come together at this Union Square shop, which presents its award-winning ice cream in Fluff-filled cones toasted to perfection with a blowtorch. Gracie’s treats their customers to a slew of creative, seasonal flavors, all made fresh in the cozy storefront. Currently, the lineup boasts honey cornbread, Chocolate Salty Snacks, and even pandan (a Southeast Asian plant with a toasted almond flavor). For those really looking for adventure, Gracie’s has a “wildcard” delivery option—the flavor is dealer’s choice. 22 Union Square, Somerville, 617-764-5294, graciesicecre.am. 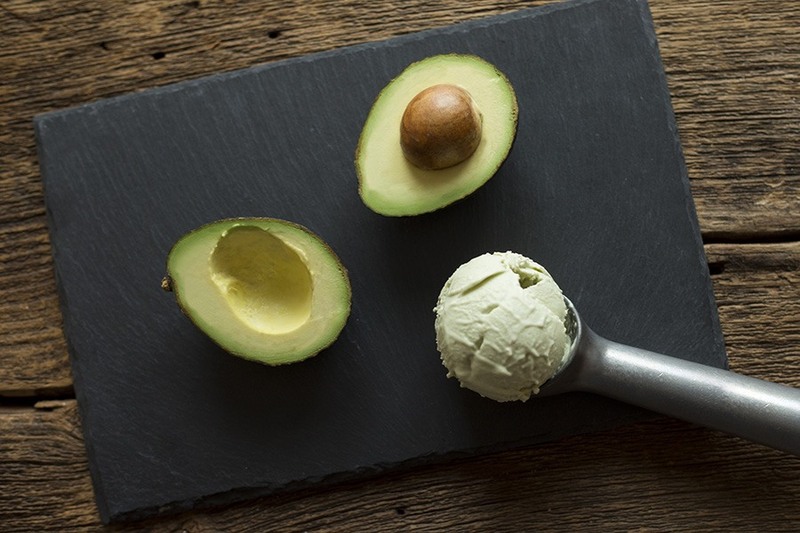 Where else can you get a cone with flavors like ginger-rhubarb crisp, or basil goat cheese? Using local ingredients, this two-time Best of Boston-winning shop is committed to making each from-scratch batch as fresh as it can be: Husband-and-wife duo Rory Hanlon and Kristen Rummel rotate their mouthwatering menu every few weeks, designing flavors based on seasonal ingredients like summery sweet corn or cherries. Which means there’s always a reason to come back and see what’s new. 1702 Massachusetts Ave., Cambridge, 617-714-3983, honeycombcreamery.com. The North End is home to plenty of gelato vendors, but Lulu’s churns up batches of ice cream each day to accompany its bakery menu. Originally known for delectable cupcakes and an enviable assortment of old-fashioned candy, this shop has gained attention for such intriguing ice cream selections as green tea ginger, Thai tea coconut, and port-wine pistachio. Grab a cupcake and a cone to go, then take a lap around the Greenway to work through the sugar rush. 28 Parmenter St., Boston, 617-742-0070, lulussweetshoppeboston.com. 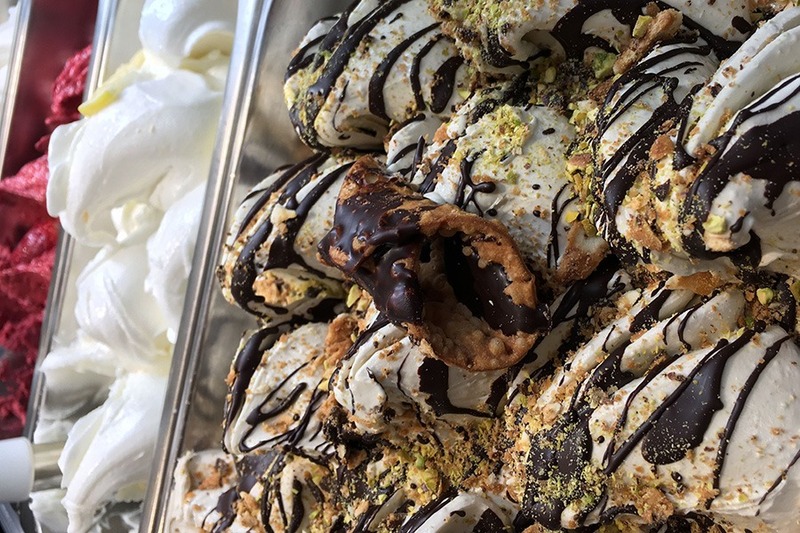 Owner Morgan Morano’s gelato is a little bite of Italy in New England—and a rather exclusive one at that. She creates 12 to 16 flavors daily, choosing from an ever-rotating, 200-plus repertoir that includes fior di latte (sweet milk), amarena (cherry), and zafferano (saffron), are intended to sell out by the end of each day. Check social media for the most up-to-date selection, or drop them an email request to make sure the flavor you’re itching to try is available for your next visit. The Shops at Chestnut Hill, 199 Boylston St., Chestnut Hill, 617-244-5200, moranogelato.com. 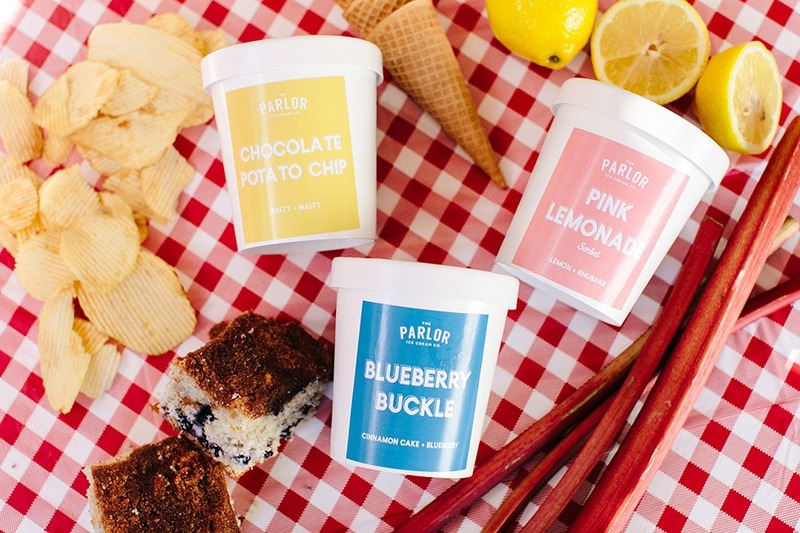 Owner Jacqueline Dole understands that sometimes a scoop or two of ice cream just isn’t enough, so Parlor Ice Cream rolls out its concoctions by the pint to a hand-picked selection of local stores and restaurants. This past spring’s Vacationland collection featured such daring flavors as buttermilk flapjacks and bagel and cream cheese, and summer tastes like blueberry buckle, and pink lemonade sorbet are in coolers now. Keep an eye out for pop-ups where Dole scoops cups and cones, and find her take on Hoodsie-style cups on the snack menu at Trillium’s Canton brewery. Got the munchies and an empty freezer? Fear not: The Scoop N Scootery has you covered. Once a food-truck operation, this startup launched a suburban brick-and-mortar after only a year and a half business. But there’s no need to leave the house to enjoy these sundaes: With an expanded team and plenty of enthusiasm, this shop is dedicated to delivering custom cups of Phantomberry and Totally Turtle to your door as fast as possible. Beat that, Ben & Jerry’s. 112 Massachusetts Ave., Arlington, 617-394-8634, thescoopnscootery.com. If you thought Blackbird Doughnuts couldn’t get any more decadent, we’ve got news for you: Those pillowy-soft, sugar-dusted treats make the perfect base for some out-of-this-world ice cream sandwiches. Make your own creation from a doughnut of your choice filled with vanilla, chocolate, or swirl soft serve—or, better yet, leave it to the experts, and opt for one of their rotating sandwich specials. Recent faves include the Gummy Bear, which ups the sugar-coma ante by mixing in the nostalgia-inducing penny candy. 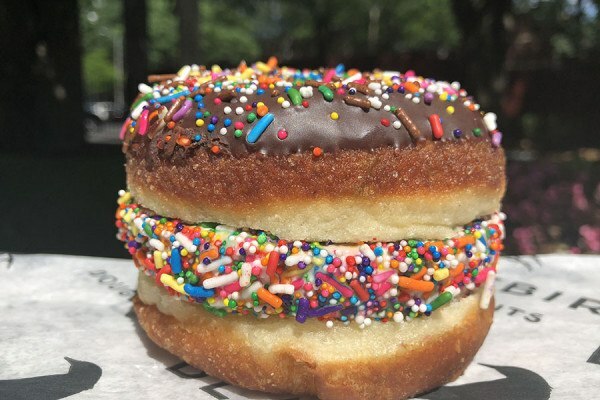 492 Tremont St., Boston; 20 Kilmarnock St., Boston; 617-482-9000; blackbirddoughnuts.com. 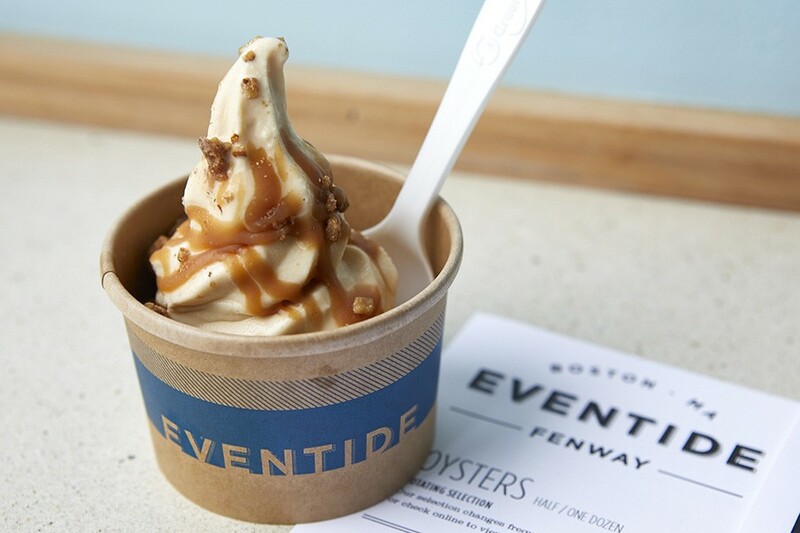 Come for the award-winning fresh oysters and lobster rolls, stay because it would be criminal to leave without trying the brown-butter soft serve. Eventide’s signature ice cream dish may be a frosty treat, but something about this decadent dessert—piled high with smooth caramel and crunchy candied pecans—leaves you feeling warm and fuzzy inside. A rotating, second sundae option might appeal to those with game-day spirit, such as a Cracker Jack sundae topped with a hard shell and caramel corn. 1321 Boylston St., Boston, 617-545-1060, eventideoysterco.com. In the depths of winter, there are few things we crave more than Jaho’s red velvet hot chocolate. Now as temps climb, that signature flavor is available in a whole new way: as Japanese-style soft serve, best enjoyed in a pretzel cone. Red velvet is the latest addition to this local chainlet’s roster of soft-serve offerings, soon to be joined by dark chocolate and salted caramel. Prefer a scoop? The summer’s hard ice cream menu features butter pecan, caramel swirl, and birthday cake flavors, plus açaí pomegranate sorbet. 1651 Washington St., South End, 617-236-1680; 665 Washington St., Downtown Boston, 857-233-4094; 197 Derby St., Salem, 978-744-4300; jaho.com. Coming soon: 116 Huntington St., Boston. 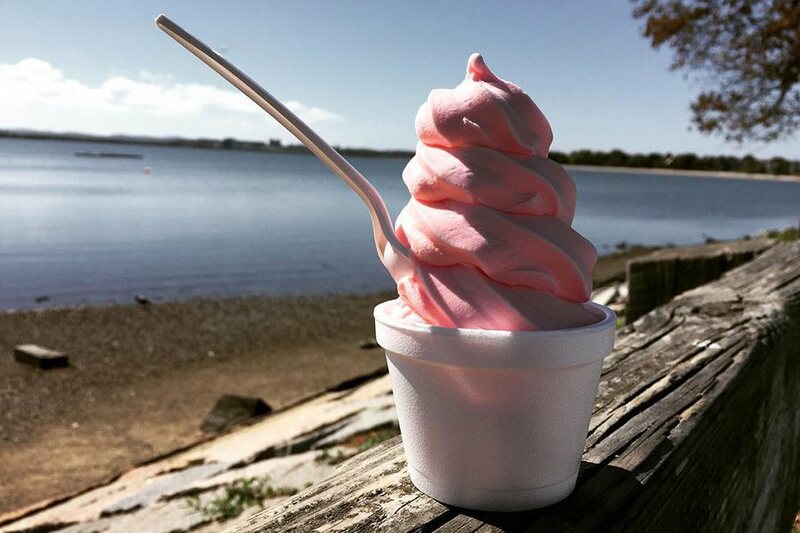 First opened in 1951, this South Boston institution has been plying Castle Island visitors with beachy eats for the better part of a century. With no-frills cones making cameo appearances in entire generations of childhood memories, Sullivan’s latest expansion to the iconic Hood milk bottle at Boston Children’s Museum feels like a very natural one. Ordering a soft-serve cone from the window counter on the Fort Point channel should be high on your summer bucket list. 2080 William J. Day Blvd., South Boston; Milk Bottle Plaza, Boston Children’s Museum, 308 Congress St., Fort Point; 617-268-5685; sullivanscastleisland.com. Turns out, some of the most exciting ice cream being churned in Boston these days is actually not cream at all. Its empire rapidly expanding since the first fully vegan scoop shop launched in 2012, the dairy-eschewing FoMu (get it?) serves up such coconut-milk-based flavors as mocha salted caramel, and golden milk (with turmeric and candied ginger), all handcrafted in Watertown. Dairy-free dogs can get their fix here, too, in the form of biscuits topped with FoMu’s canine-friendly ice cream. 481 Cambridge St., Allston, 617-903-3276; 655 Tremont St., Boston, 617-982-7955; 617 Centre St., Jamaica Plain, 617-553-2299; 227 Newbury St., Boston (pop-up); fomuicecream.com. Homemade and always nut-free, Tipping Cow ice cream stays true to its farmers’ market roots and keeps away from additives and preservatives. But owners David Lindsey and Gerly Adrien, who bought the Tipping Cow brand in 2017, don’t just rely on the store’s natural ethos to keep their customers coming back—they also wows them with unusual and seasonal flavors, like peach cobbler, ginger lemon, and even caprese. 415 Medford St., Somerville, tippingcowicecream.com. 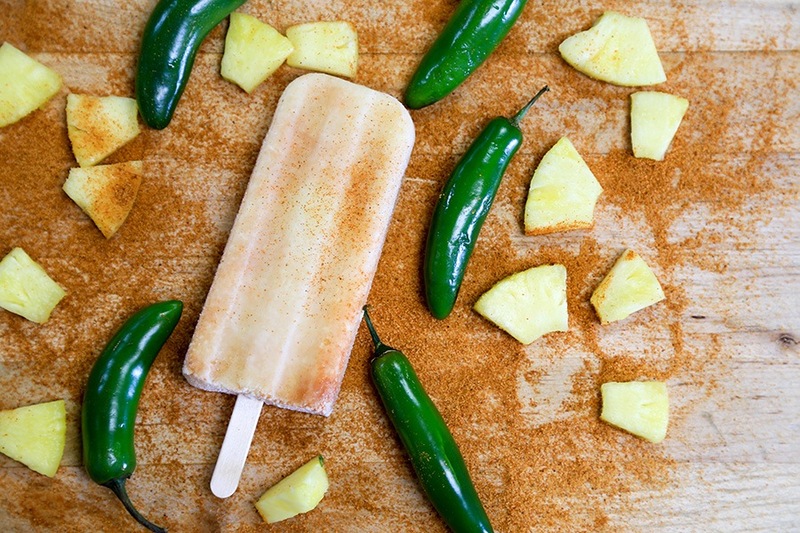 Among the jewel-toned paletas emanating from Shira Gold’s Jamaica Plain-based operation: strawberry mint, tamarind Thai chili, and avocado, with the future forecast calling for coconut-date-walnut pops. In addition to the new storefront, you can also find these frozen treats at farmers’ markets all over town, and select shops stretching from Boston to the Pioneer Valley. But for true locavore synergy, head to Brookline’s Serenade Chocolatier, where Wild Pops can be dipped in chocolate (otherwise known as pure bliss on a stick). 3213 Washington St., Boston, 617-775-5005, wildpopsusa.com.